Will Software Bugs Result In GDPR Fines? You are here: Home / Experimentus / Will Software Bugs Result In GDPR Fines? As we all know far too well, the General Data Protection Regulation (GDPR) came in back in May this year and brands of all shapes and sizes have adapted their operational processes and procedures accordingly so as to avoid incurring huge fines for personal data breaches. But in reality, companies can only do so much to protect themselves and many do believe that a breach is simply a matter of if and not when, perhaps unsurprising when you think about how many nefarious individuals there are out there just waiting to hack into their systems. As such, being proactive about your network and systems is a must so you know you’re doing all you can to mitigate the risks. Speaking to Verdict, data protection expert and co-founder of Dosadi Ventures Tom Martin reassured companies that it’s very unlikely they’ll be hit with fines for software bugs that hackers then choose to exploit. He made mention of the Facebook breach that recently took place where 50 million accounts were compromised because of a flaw in one of the tools. You can remind yourself of what your organisation needs to do to comply with data protection rules on the European Commission website. The law applies to any company or entity that processes personal information as part of the activities of one of its branches set up in the EU, no matter where this data is processed. It also applies to any business operating outside the EU that offers goods or services, or monitors the behaviour of people in the EU. 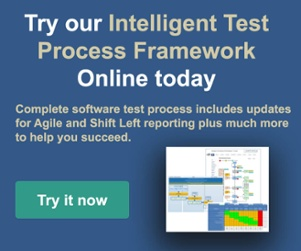 Give us a call today for help with software test metrics.